Electronics are equipment meant for everyday use, they include entertainment devices such as TVs, Home theatres, DVD players and video games. Housekeeping equipment such as washing machines, refrigerators, microwaves and water dispensers. Others include communication devices such as smartphones and laptops.The right electronics can improve our lives significantly, be it in the kitchen, in the living room, our offices or the gym. Jumia Egypt has an entire collection of electronics from recognized brands such as Sony, Toshiba, Samsung, Sharp and Canon. Order for your electronics from the cheapest online shopping site for electronics in Egypt and have your orders delivered to your home or office. Jumia Egypt is the number one online electronics stores in Egypt with a huge collection of top notch electronics. Looking for entertainment equipment, check the home audio, the portable audio and video & television category. For refrigerators, washing machines, heaters and electric kettles, find them all at the home appliances section. The office electronics shop has amazing office equipment including bar-code scanners, printers, point-of-sale devices and such. Other new electronics on Jumia Egypt include security and surveillance cameras, GPS and navigation equipment and car navigation accessories. Order for your new electronics from the best electronics online shopping site now, we guarantee you the best prices and the most convenient payment options. If you are shopping for the best electronics online, you are in the right place. Jumia Egypt is the best electronic store online with the best prices and crazy discounts on selected items. 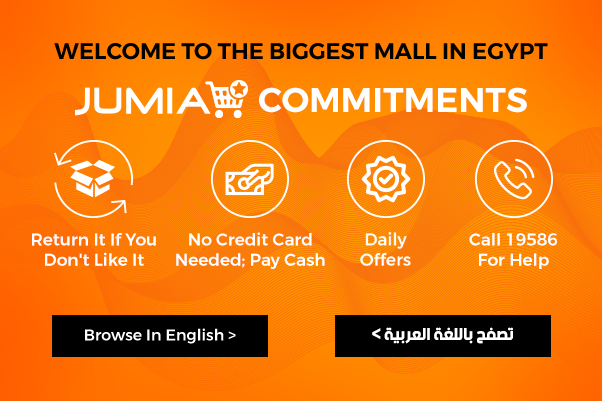 Jumia Egypt makes online electronics shopping easy, convenient and fun. Buy cheap but quality electronics here and pay securely online or cash on delivery.